Stop Searching! 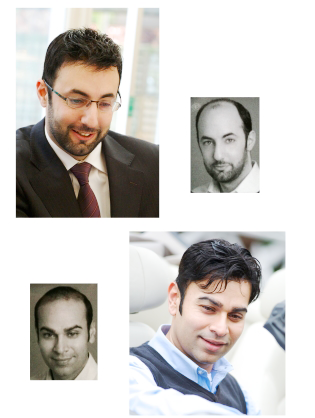 – We provide the safe hair loss treatment for men. It’s safe to say that you have reached our website and are reading this because you have hair loss, thinning hair or pattern baldness – and are looking to find the best treatment so that you can have a full head of hair. We are all aware of what having a full head of hair can do – it makes you look younger, boosts confidence and stops you worrying about your hair loss. The hair loss treatment for men market consists of several different products and services and we agree it is confusing to decide which is the best – most importantley the best for your particular needs. What we have is 25 years experience in non surgical hair replacement and we are happy to provide all the advice that you need – we are confident its the right choice. There is nothing complicated and no long process involved in having a hair replacement system fitted, the following steps are the basic process involved. Contact us and arrange your free consultation. The takes place with either David, Gary or Claire who have many years experience. This is where you can ask any questions and generally have a chat about how this can work as a men’s hair loss treatment. If you are interested the next step is for us to measure your area of baldness and/or head. If you are going for a complete bespoke made to measure system then we can take a mould, of which the base of the system is made too. We also match the thickness and density of your hair along with the colour so that we can order and design the correct system for you. This is the fun part! – depending on your requirments we may have a hair system in stock but everyone is different so the chances are this will need to be designed for you. We then fit and integrate the system with your existing hair so style it as you wish. Once it is fitted and integrated it feels and looks like a full head of natural hair. Treatment does not mean surgery – non surgical and no risk!